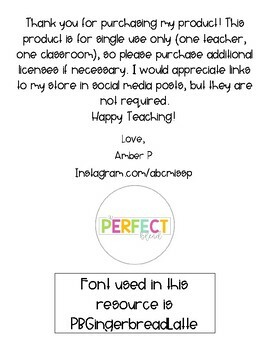 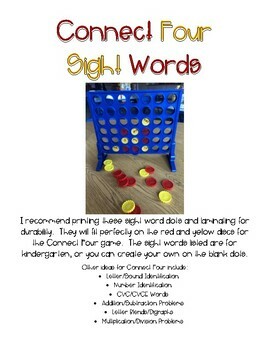 I recommend printing these sight word dots and laminating for durability. 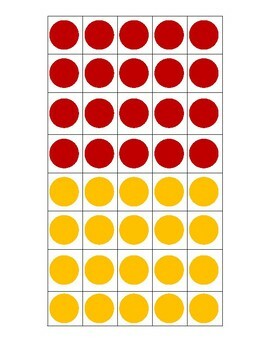 They will fit perfectly on the red and yellow discs for the Connect Four game. 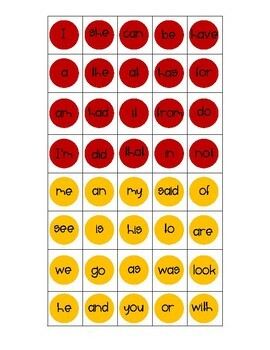 The sight words listed are for kindergarten, or you can create your own on the blank dots.